Arlene Miller, one of our Kentucky missionaries, was honored this week at the National WMU Annual Meeting in Columbus, OH. During the Sunday evening session Arlene was presented with the Dellanna West O’Brien Award for Women’s Leadership Development. Arlene has served as a Mission Service Corps funded (self-funded) missionary through the North American Mission Board and the Kentucky Baptist Convention since 2001 in her work as Director of Impact Ministry and Christian Women’s Job Corps. Impact, a food and clothing ministry, and Christian Women’s Job Corps are ministries of the Christian County Baptist Association in Hopkinsville, KY.
Arlene is a strong leader and her work has impacted many, especially needy families, women, and volunteers serving alongside her. She helps to meet both the physical and spiritual needs of those she serves and is quick to share their need of a relationship with Christ. 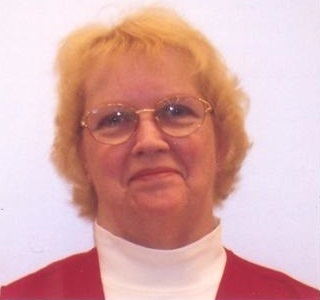 Arlene is active in her local church, association, and state WMU where she had held many leadership roles. In addition to Arlene’s service at Impact and Christian Women’s Job Corps, she also serves as the West Region Mobilization Consultant with the Kentucky Baptist Convention, where she recruits and enlists other KY-MSC and NAMB MSC-funded missionaries, and provides much needed encouragement for the missionaries in her region. Arlene has been active in international missions, having taken numerous mission trips. You can see her light up as she shows pictures and speaks of the children at the orphanage in Haiti. Arlene is very conscientious, is an encourager, and such a humble, giving person. CONGRATULATIONS, Arlene!! You are most deserving of this award. ← You are meant for so much more!